Need help identifying the equipment in this picture as well as the cable that is used to connect the devices. 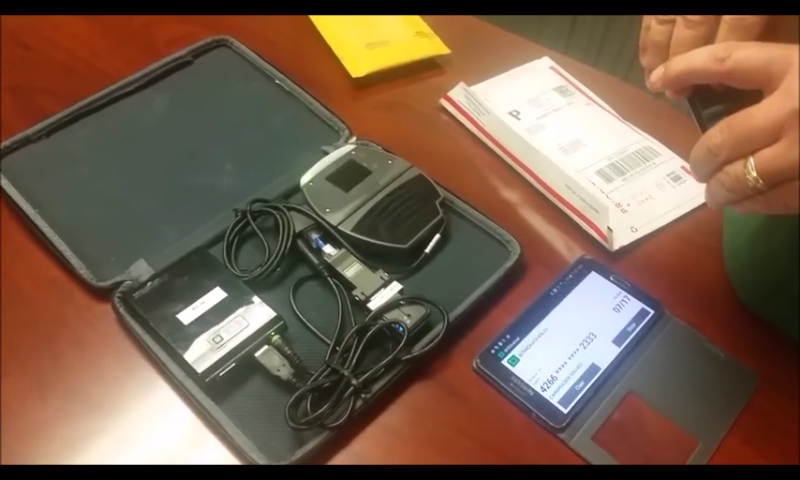 I have an understanding that the device on the right is a Nfc Reader/Scanner. Just need info on everything else shown. Can't tell much from the picture. Look on the device and see if there is a maker and part number.